With the 2019 Apraxia Kids National Conference just around the corner, we are excited to feature some of our outstanding speakers for this year! Ruth Stoeckel, Ph.D, CCC-SLP, from Rochester, Minnesota, recently retired from the Mayo Clinic. She has experience working as a provider, a clinical coordinator, and independent consultant in the schools, private practice, private rehabilitation agency, and clinic. She presents locally, nationally, and internationally on a variety of topics, including CAS and intervention for children with hearing loss. 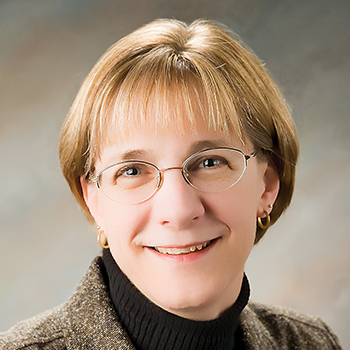 Dr. Stoeckel is on the Professional Advisory Council and Executive Board of Apraxia Kids. Dr. Stoeckel is presenting “Intervention for CAS: Making Informed Choices” alongside Pooja Aggarwal, MS, CCC-SLP. Course Abstract: Your child has a diagnosis of CAS, and is now enrolled in therapy. You are getting information and advice from a variety of sources, some of which is contradictory. “You should do aquatherapy,” “My friend told me about a special kind of music therapy that will help,” “You should make sure your child is with an SLP who knows (Name) therapy.” How do you know what to take seriously? There is a growing body of evidence that examines how different aspects of therapy can influence progress. In this session, we will discuss how to find credible resources, and how information from those resources can be used to guide choices about intervention practices. Evidence based resources will help both parents and professionals advocate for best practices for each child. Group discussion, case examples, and a special segment highlighting Frequently Asked Questions will be used to facilitate learning. Course Abstract: At what age can a child be evaluated for CAS? What test can be used to assure a correct diagnosis? These and other questions come up regularly in internet discussions about children with a suspected, or confirmed, diagnosis of CAS. Confident diagnosis can be challenging for a number of reasons. A child’s age, developmental ability, and the presence of co-occurring communication disorders need to be considered. However, research continues to seek answers for how to identify motor planning/programming impairment and differentiate it from other communication impairments. As a result, clinicians have an increasing variety of tools to call upon when assessing children for the question of CAS. In this session, we will discuss pros and cons of various test instruments (including the newly published DEMSS) and assessment tasks that SLPs may use with children of different ages to identify characteristics of motor planning/programming impairment and rule in/rule out CAS as a diagnosis. Video examples will be used to enhance the learning. Apraxia Kids: Why are you excited to present at this year’s Apraxia Kids National Conference? Ruth: Because it is so rewarding to see parents and SLPs coming to learn together and to see people making connections with others who understand! Apraxia Kids: What can conference attendees expect from your presentation? Ruth: A better understanding of why diagnosis of CAS can be challenging and how and when a confident diagnosis may be possible. Apraxia Kids: What are you most excited to share in your session? Ruth: Ideas that will hopefully empower both parents and SLPs to ask the right questions about diagnosis of CAS. Apraxia Kids: If you have attended the conference before, what is your favorite part of attending? If you have not attended the conference before, what are you most looking forward to? Ruth: The interactions between sessions — having lunch with a parent, meeting up with other SLPs for a conversation. Interested in learning more about all of our National Conference presentations? Click here to view the full schedule!